NEW BEDFORD, Mass. – Southcoast Health today announced that it was awarded an $8 million grant from the Massachusetts Health Policy Commission (HPC) as part of Phase 2 of the Community Hospital Acceleration, Revitalization, and Transformation Investments grant program (CHART). The CHART grant program was established by the Massachusetts HPC through the Commonwealth’s cost containment law, Chapter 224 of the Acts of 2012, to enhance the delivery of efficient, effective care at community hospitals. The goal of the program is to promote care coordination, integration, and delivery transformations; advance electronic health records adoption and information exchange among providers; increase alternative payment methods and accountable care organizations; and enhance patient safety, access to behavioral health services, and coordination between hospitals and community-based providers and organizations. Southcoast Health was identified through an application process that included 30 eligible community hospitals from across the Commonwealth. 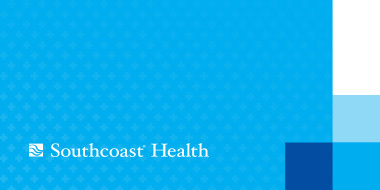 Southcoast Health has committed to use the funds to continue its efforts to improve care in some of the region’s most pressing areas of need. These initiatives include the coordination and access to care for behavioral health patients, improved efficiency of emergency care, patient engagement of high-risk diabetes patients that incorporates them into a care management program, and the development and implementation of disease management registries. Through the grant awarded in CHART’s Phase 2, Southcoast Health is continuing its efforts which began with $1.1 million of support received in January 2014 as part of the program’s Phase 1. Twenty-eight acute care hospitals received CHART Phase 1 funding, and 30 acute care hospitals, varying in size and affiliation and located across the Commonwealth, were eligible to receive funds in Phase 2. The HPC made a total of $10 million available for Phase 1 and has made up to $60 million available for Phase 2, out of the $119.08 million in funding available through the CHART Investment Program over the next four years. Potential awards ranged from $65,000 to $500,000 in Phase 1, and up to $6 million per hospital in Phase 2.